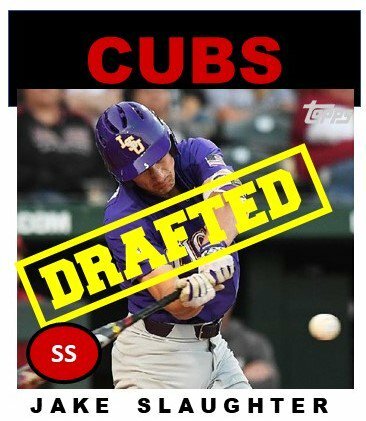 Day 3 Draft Q and A – Did the Cubs Change Their System Much Today? 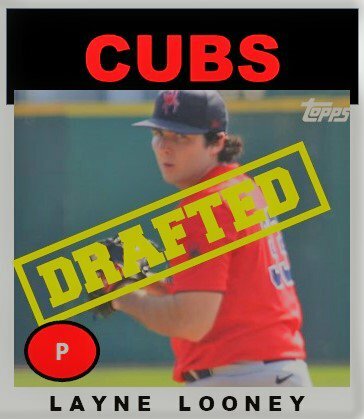 On day three of the draft, the Cubs loaded up on some possible pitchers in rounds 11-20 by taking 7 of their first ten picks, all college arms. From 21-30, the Cubs went with a lot of college senior position players, 6 in fact. From 31-40, the Cubs, as usual took some high school players, many of whom will likely not sign, but a couple of juco players could. Earlier in the day, I had a few questions about how the day would play out. Let’s see how the Cubs answered them. 1. Will the Cubs continue to have a somewhat balanced approach of taking a mixture of hitters and pitchers? The Cubs wound up taking 24 position players and only 18 pitchers. However, it will be more interesting to see the totals once everyone signs. I imagine it will be close to 50/50. 2. 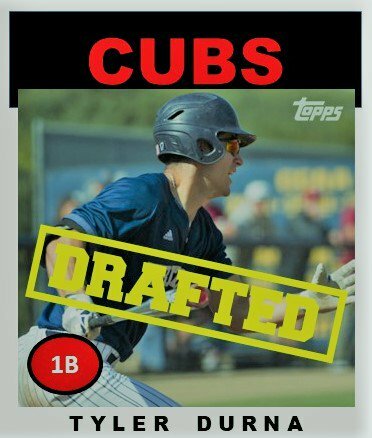 Will the Cubs still be selecting a clear majority of college players again? Only 13 high school players were taken and 4 of those were in the top 13. 10 college seniors were mostly taken in the 20s and early 30s this year. That should create for an interesting mix in the system the next couple of years as the rosters in the lower parts of the system have a large mix of young, Latin players who could use some guidance. 3. Will the Cubs take a chance on selecting one of the top prep players like Cole Wilcox or Kumar Rocker? 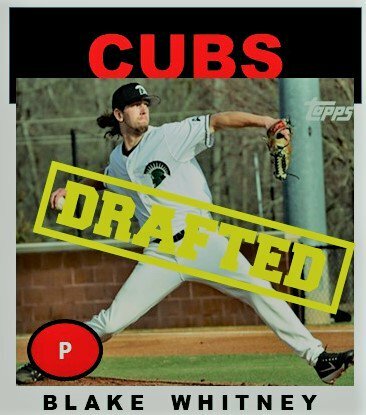 The Cubs did select a few HS players late like Julian Bond, Chase Hanson, Parker Mitchell, and Tyler Ras, all well-thought of prepsters with college commits. Something would have to go wrong with Davis and/or Roederer to not sign. However, the Cubs wouldn’t take either in the second round if they thought they couldn’t sign them. 4. The Cubs have certain needs in the MiLB system. Will they draft to those needs or take the best player available? They are in need of shortstops who can field and left handed starters and relievers. The Cubs did go after a lot of needs today including the aforementioned positions. The Cubs just today took six outfielders, three catchers, two 2B, and six shortstops. The surprise of the day came when the Cubs took an actual 1B, their first since 2012 in Tyler Durna from UCSD. The first two days, they a 2B, a SS, a 3B, and four OFs. I’ll let you add the two subsets together. In all, that beefs up the system. 5. How many of these will realistically sign? In the Theo Era, the CUbs usually sign around 25, +/- 2 or 3. Last year was aberration as they inked 29 to contracts. The Cubs have some change to spend this year thanks to the two compensation picks. And with the large numbers of college seniors, they could actually sign 30, 31, or 32. Of their 11 HS picks, 4 were picked in the top 13. That bodes well for a high signing number. 6. And when they do sign, does that second Mesa team become the staging area for them? While all signees will go to Mesa for an orientation into “The Cub Way,” most of the the college signees will end up in Eugene. A few college guys (Hoerner, Reynolds, could make it to South Bend, but most of the pitchers will be used sparingly the rest of the season after already pitching a full season from March through May. 7. How did the System Change? It is going to be a couple of years before we see the results of that. The Cubs scouting department took the long-term view and took prospects they think they can work with and develop. Of their 42 picks, there were was only 1 top 100 draft prospect despite having 5 top 100 picks. Jason McLeod is gambling on the system to develop the prospects they sign into guys that help the system. For now, though, the system got a little deeper, a little younger. Most of the first 20 picks have one unique talent that they can polish up and help propel through the organization. In eight days, Eugene and Mesa begin their seasons. We shall see who is there and how they do very quickly.